CBS released the first episode of its new drama series “The Code” on Tuesday. 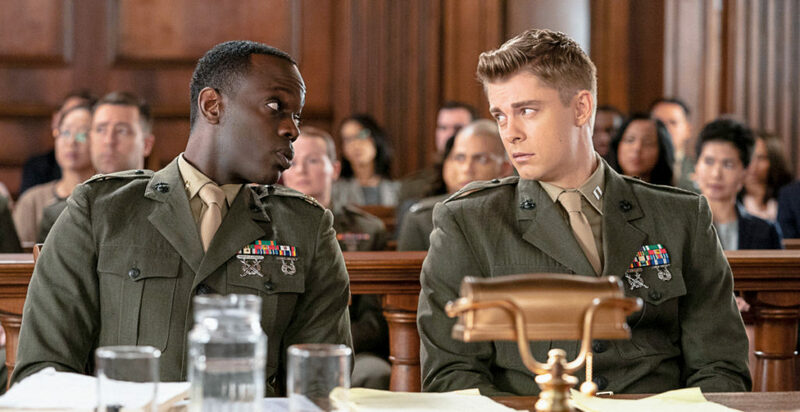 The show follows a group of Judge Advocates — essentially military lawyers — in the Marine Corps as they investigate and litigate cases. Abraham cares about doing his job well, but he is skeptical of authority figures and does not always feel the need to follow the chain of command. The character is a simple cliche, the classic “maverick” figure, but “The Code” is a show that is clearly not interested in challenging cliches. The series is entertainment, not art, and there is nothing wrong with that. To its credit, the pilot certainly is enjoyable. The plot is interesting and fast-moving, and the show does a great job of grabbing the viewer’s attention and holding on for dear life. Critics will point out that the acting is sometimes subpar, but the cast does its job. Some will also point to the fact that the show, from its writing and set-up to its characters, is just a — slightly diminished — carbon copy of 1992’s “A Few Good Men.” This is true, but “A Few Good Men” is a great film, and it is hard to argue that having more content like it is a bad thing. “The Code” is not a show that is going to win awards. It is also not going to challenge anyone’s world view. It was never designed to do those things. “The Code” is meant to be consumed, not analyized, and there is absolutely nothing wrong with that.